Andres Amador doesn’t paint or sculpt. 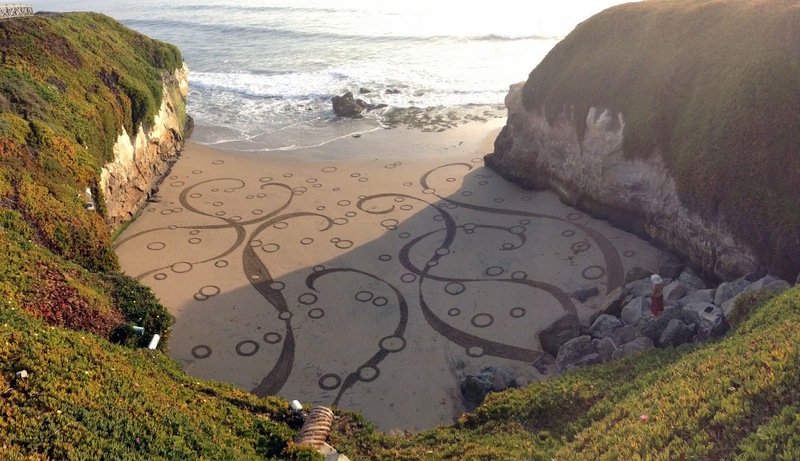 He prefers a medium that is temporary but absolutely beautiful: a sandy beach at low tide. 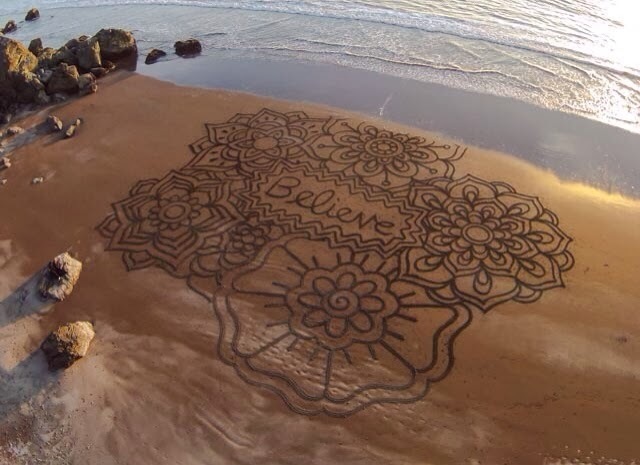 He uses a rake to create works of art that can be bigger than 100,000 sq. ft.